Living in Pampanga for the past two years has had a great effect on my diet. This is because a lot of them are such good cooks that you just can't resist to try something new to you. Coming from Mindanao and a fan of veggies, certainly coming here was drastic since the place I live in doesn't really favor eating leafy greens. But I can't complain. 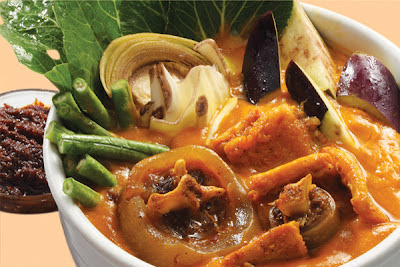 My partner's father cooks the most delectable Kare-Kare for my palate. He cooks this pork hind/front legs into this tenderness that it almost melts in your mouth, it has peanut sauce, vegetables, and shrimp paste. Mouth-watering. Just Yum! Spoiler: It's not advisable to eat it all you can.